VOLUNTEER FOR A POP-UP SHOP! NxG Fund - thank you! These are temporary bike shops to improve access to bicycling in underserved neighborhoods. 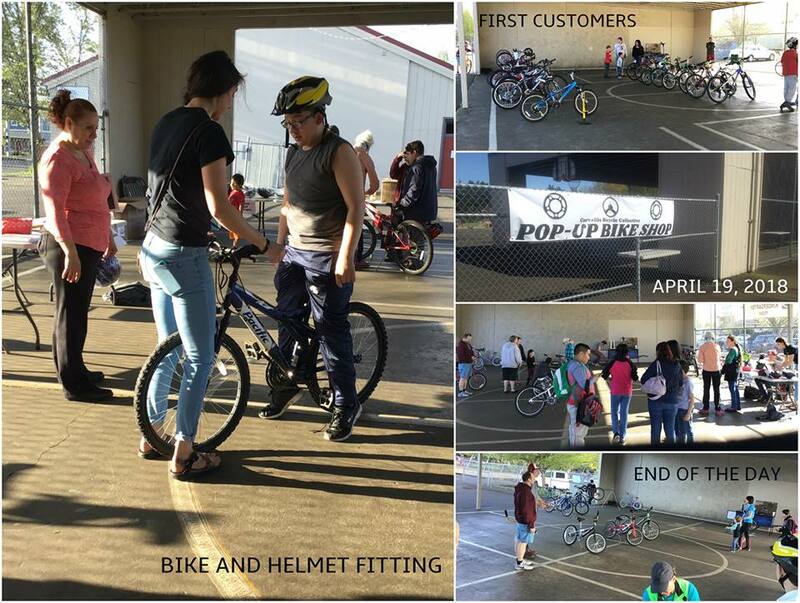 Residents spend their Empowerment Bucks at our pop-up shops to get a bike, helmet and a bike light. 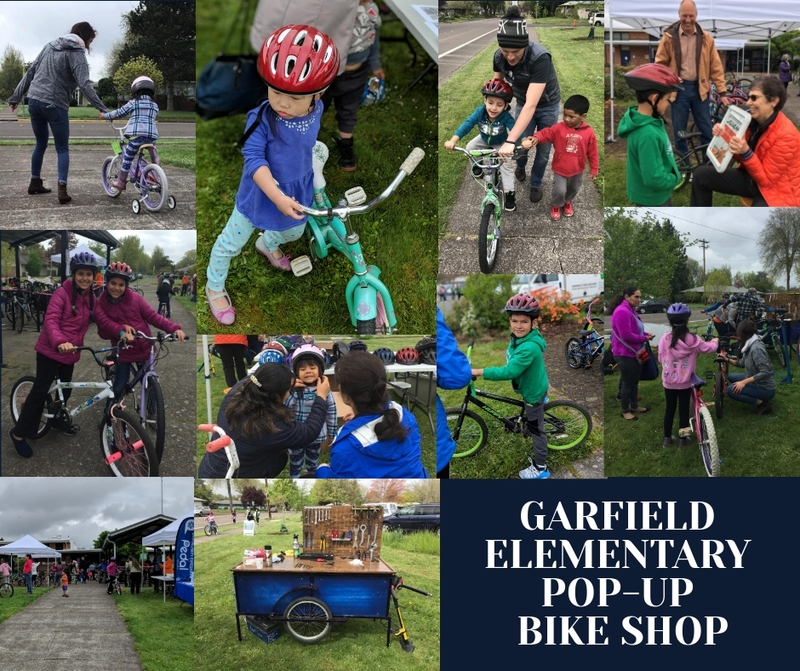 Our inaugural Pop-Up Shops were at Lincoln Elementary and Garfield Elementary's Pantry Day. Our April 27 event is at Lancaster Bridge Apartments. 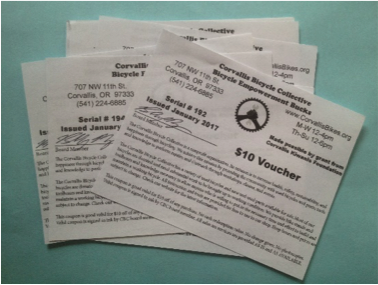 Thank you to Benton County Health Navigators, NxG Fund of Community Foundation for the Fox Valley Region, Samaritan Health Services, City of Corvallis for supporting access and equity in bicycling.